On a recent trip to the supermarket, ample signage informed me that Sunday 4th August was National Roast Day. Although no doubt a ploy to sell more products, it’s been a while since my tiny kitchen knew the joys of a hearty roast, so Sunday was National Roast Day chez nous. In my household, the only type of roast that counts is that of the beef variety. And when preparing roast beef, I simply cannot go past Delia Smith. My copy of Delia Smith’s Complete Cookery Course is pictured below. I picked up this little gem for a mere $2 at the Downtown Community Ministry’s annual book fair a couple of years ago. 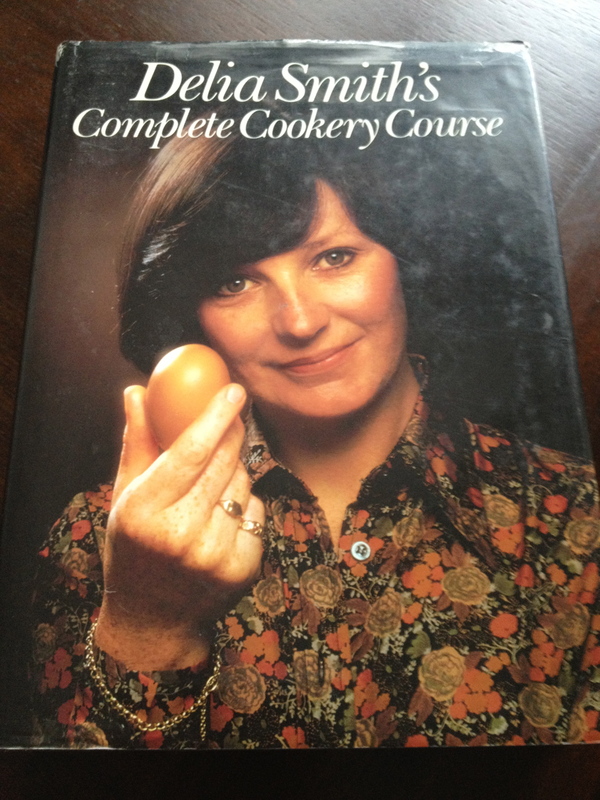 I love the cover; Delia in her 80’s finery and for some reason feeling the need to pose with an egg. All joking aside, it’s a wonderful book and many tips and recipes have stood the test of time. Not least of these is Delia’s roast beef method. It’s really pretty simple. 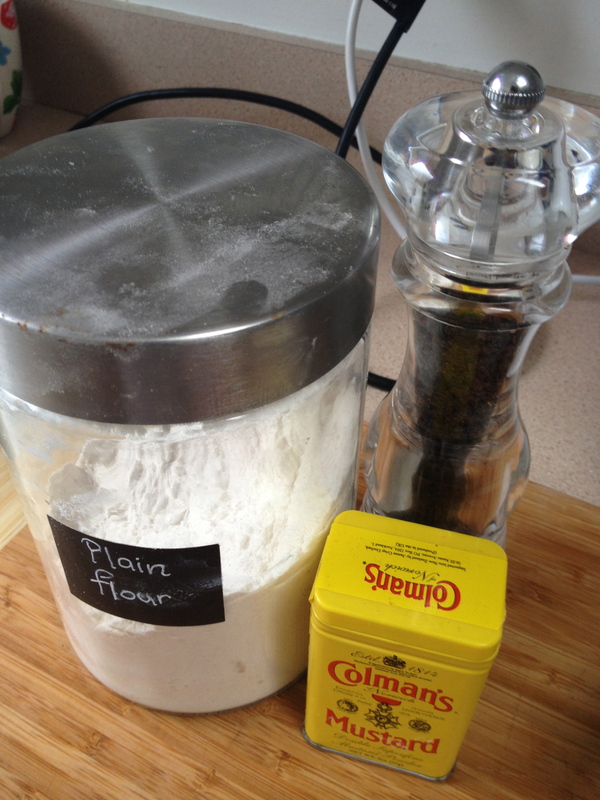 All you need, asides from your beef of course, is flour, mustard powder and pepper. One beings by preheating the oven to a whopping 245 degrees celsius. I’m putting this bit first in case any of you happen to be following these instructions, because there’s nothing more annoying that getting everything ready to go in the oven then realising the damned thing is stone cold because you forgot to turn it on. One dusts the surface with a mixture of flour and dry mustard, followed by a sprinkling of ground pepper. Delia asks that you add a knob of beef dripping to the tin before placing the beef in. I have no beef dripping – can you even buy it nowdays?! – but a little olive oil came to the rescue. The beef is given 20 minutes at 245 degrees, after which time one reduces the heat to 190. If you hanker for meat on the rarer side of cooked as I do (bad ex-vegetarian!) 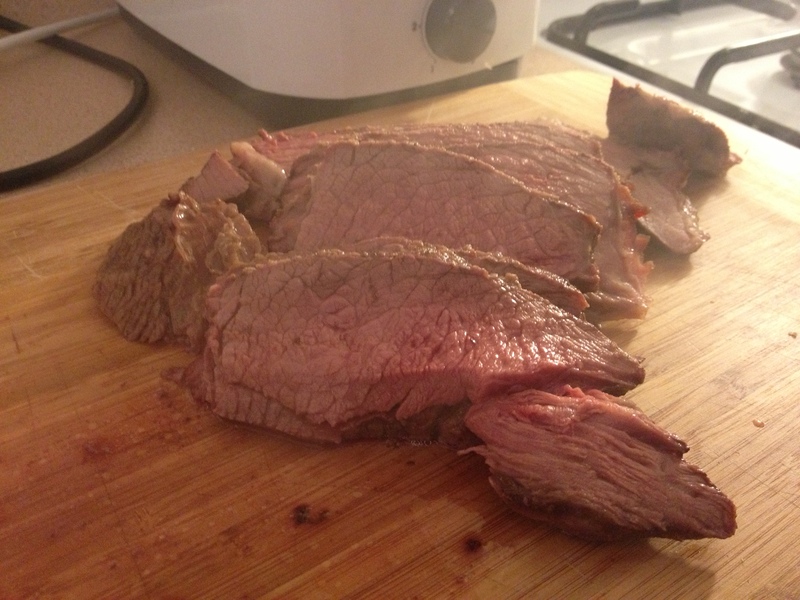 then the beef cooks for a further 15 minutes per pound, which in our case equalled another half an hour. Treat your beef kindly by basting it with the pan juices from time to time. 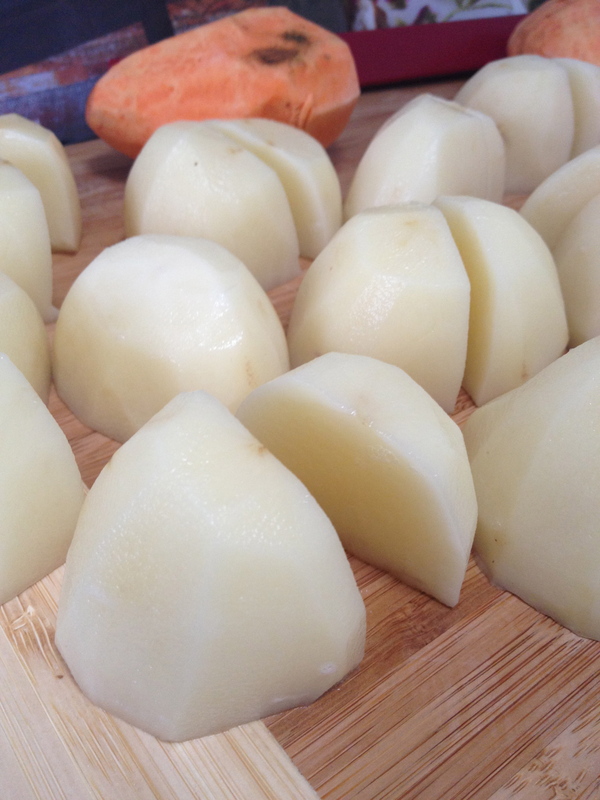 You can use this time to get your other bits and pieces in the oven…in our case, kumara and potato. 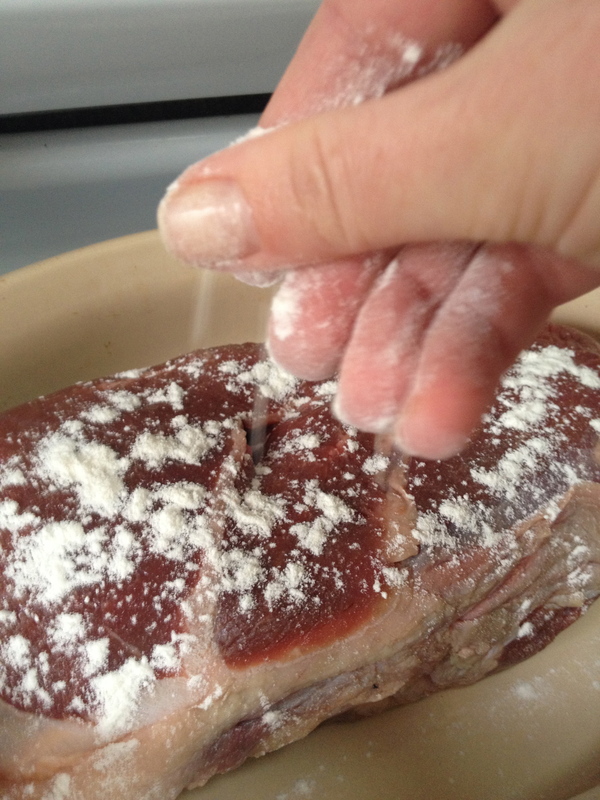 Once out of the oven, Delia counsels that one should leave the beef to relax for about 30 minutes before carving. My idea of relaxing usually involves sauvignon blanc. Sadly for our beef, no wine was forthcoming and it had to make do with resting on the bench in a teetotal fashion. Mind, this seemed to relax it all the same as it carved up nicely and I was most pleased with its pinky-rareness. Roast veges, some token greens and savoury gravy courtesy of the roasting pan completed the set.